How do you buy fabric? Is this a known equation? Maybe you don’t want to read on? Buying fabric is an interesting phenomenon. Do you know why you buy fabric? Is it because you just “love it” and have to have it? Is it because it’s part of a theme you are working towards? Is it because you like a certain designer, or is it because you are buying specificlly for a project? Is it because you love a particular colour? Is it price point? Or…..is it because it just brings you pleasure? Or maybe it’s all of those things? 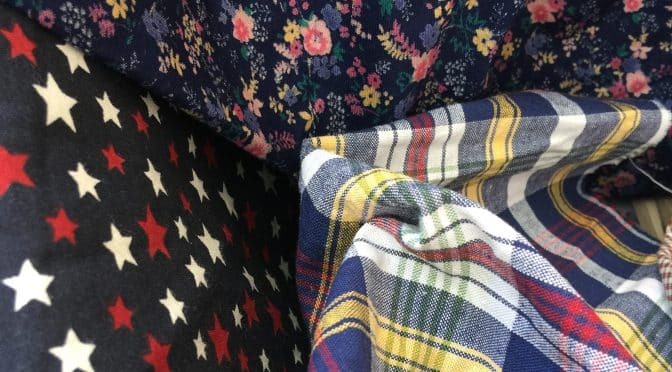 I think we are all guilty of buying fabric just because. And that’s okay! I think if it brings you pleasure, why not???? As long as you have somewhere to store it and it won’t cause financial strain. 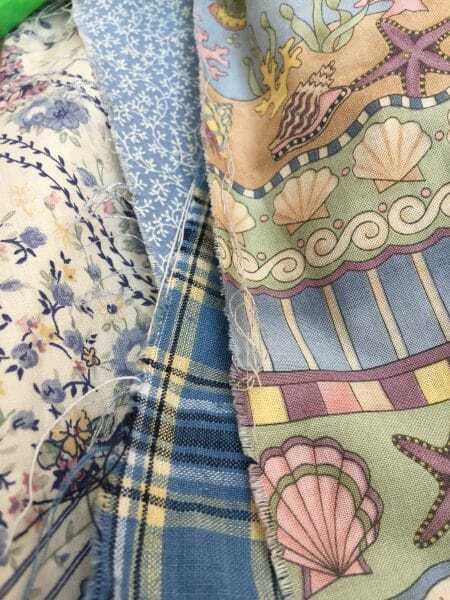 I think there is no doubting that some of us have moved on from being a mere purchaser of fabric to an avid collector ! And that’s okay too, provided you realize it may be well beyond what can be used in one lifetime. This is a difficult prospect to consider…. So this is where we all must evaluate why we buy fabric? I think it helps to know what you already have. If you have that knowledge it will empower you to know what you need and want. Of course it all comes down to personal choice, but, maybe it’s improved by having a handle on what YOU like! 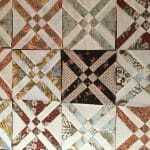 This is important I think, when you decide what kind of quilter you are, this is most helpful in buying fabric too. 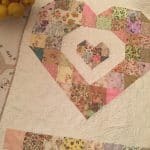 For example, if you love appliqué quilts and you know that’s your passion, then buy for that purpose. If you prefer patterns with monochromatic schemes then that’s great too! 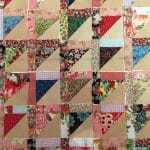 If you love patchwork with an intergrated theme, then you know what you are looking for. Maybe you love batik s or modern prints. Maybe you just love so many things, that you can’t decide, and that’s a problem! 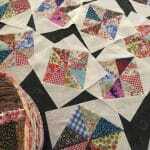 Quiltmaking can be a long process from go to whoa, This is where it’s important to evaluate time vs reality. It’s not the same, but, in some ways it’s like evaluating junk mail, email and images. 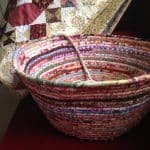 When I see things I like, I look at them and I might think I love that pattern or design, and I appreciate the beauty, but….,I will then ask myself, “would I ever make it or use it”??? Be honest with yourself now…if the answer is no, then that’s okay. It’s not achievable for now, or it’s not achievable in the time and space you are in at the moment. This is important. 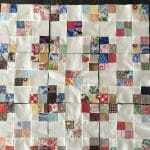 That will then help you determine how you will buy your fabric and for what purpose. I know that I love love florals and that is a draw card for me. 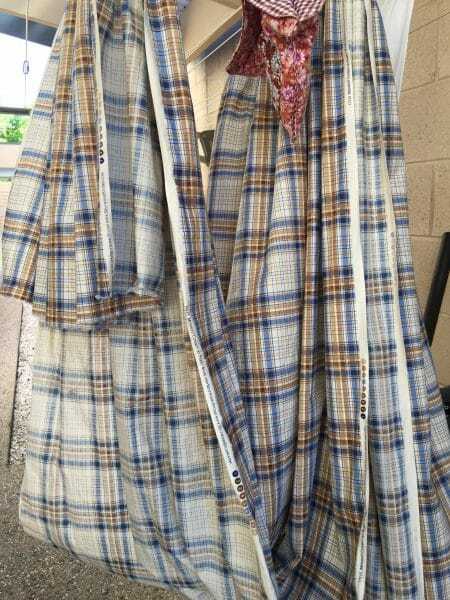 I like to pre wash all my fabrics then store them so I can see what’s there. 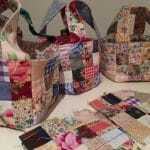 When I first began reading quilting patterns many years ago, it seemed that a very large amount of fabric was required. In practice however, that’s was not necessarily the case. 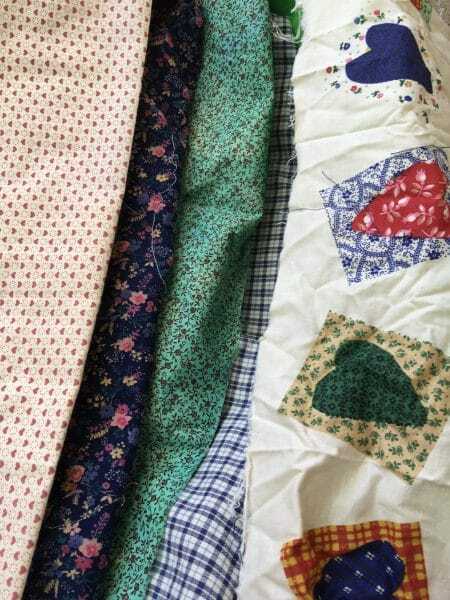 Because I love scrap quilts, I soon realized that it’s often the leftovers that have the most appeal. And this is where we come back to the fabrics themselves. Before I buy fabric now, I will assess my stash. Rather than being caught up with a particular “style” I will assess for color. For example, some time sgo I realized that’s I was low on low volume or neutral fabrics. This is important as these fabrics create the contrast required for design impact, also they let light into the quilt. This matters. You might notice when fabric is on sale, rarely, is it the light or neutral colored fabrics. Now why is that? We are all drawn to beautiful colors and designs often forgetting that we need a contrast. The other day, I noticed that I have a very limited amount of black in my stash. Nextime I’m tempted, I with think of that. 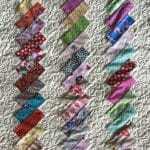 If you are low on backing fabrics, consider if a sale fabric would suit you for a quilt backing? 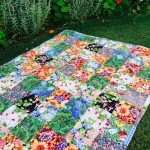 This will dramatically reduce the price of the quilt. Beware of directional prints. Now I’m not saying they are bad, on the contrary, they are marvelous in the right setting, for example, sashings and bindings are exceptional places for directional fabrics. But again, ask yourself, honestly, will you use it? If the answer is no, then, walk on by. 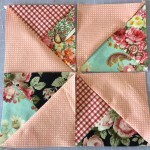 In truth, every fabric is beautiful in the right setting and you need a few “plains” or “uglies” to make the beauties stand out. They all have a place. So, next time you are buying fabric, let it bring you joy, not stress in the long run…take a moment to think about what you need…,maybe you have a treasure trove you had forgotten was there….